Whether it be Oldschool Runescape Gold, or Runescape 3 Gold, the most popular option of payment that RSGoldMine offers for users to buy Runescape gold is Paypal, due to its simplicity and safety. Follow the steps below to make your experience with RSGoldMine and Paypal that little bit easier! Step 1: Signing up for Paypal To register for a Paypal account, head over to www.paypal.com/account/sign-up. Follow the prompts to set up a Personal account, fill out the fields that are required and accept the verification email. Yes, creating an account was that easy. Step 2: Ordering Runescape Gold Now that you’ve got your PayPal account sorted, it’s time to buy your runescape gold. 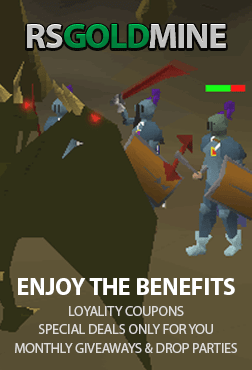 First, jump to www.rsgoldmine.com/buy-runescape-gold. Once you are there, use our user-friendly interface to choose between RS3 and OSRS gold, as well as the desired amount you’re looking for. Here, a player called 'Zezima' is wanting to buy 100m Runescape osrs gold, and has entered their wanted amount, as well as their Runescape Username. You’ll now be directed to the Checkout page (Don’t worry – we’re nearly done!). From here, it’s as easy as selecting Paypal, and furthering on. Step 3: Final Checkout After being prompted to the PayPal page, simply fill in your PayPal details and be forwarded onto the payment system. Step 4: Collecting Your Runescape Gold You’re finally here! At the bottom right of our webpage, you can find our live chat interface. Simply click on it and one of our expert live chat agents will take it from there. If you have any questions past this point, always feel free to talk to our live chat staff. RSGoldMine strives for the best quality of service with our Runescape gold for sale, and your satisfaction is our number one priority. We look forward to a long lasting relationship with you!